Home / The Buzz / Kibble v’s Cold Pressed – What’s the Difference? 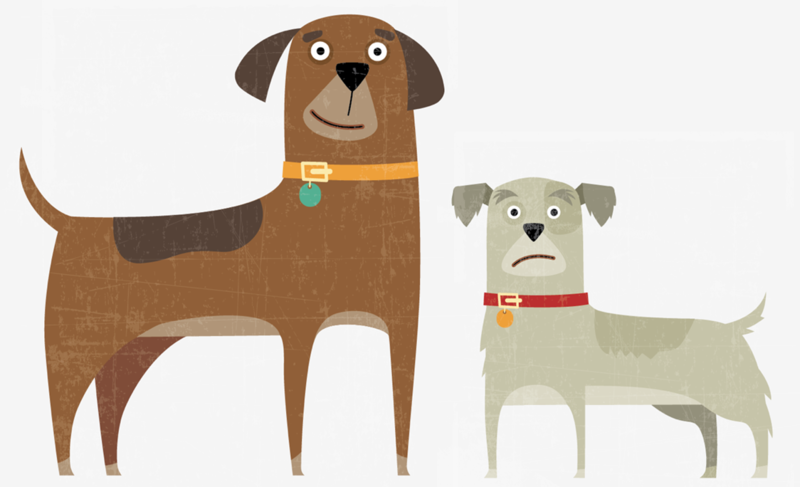 Kibble v’s Cold Pressed – What’s the Difference? Hello and welcome to our first Blog. We want this section to be both topical and fun so we aim to post articles that create debate as well as looking at the lighter side of having a furry companion or two. Any owner searching for the best way to feed their dog will tell you how difficult it is to find the right food. Finding the right food is important when you consider that what you feed your dog directly affects their health, coat, temperament and lifespan. The majority of brands make claim to sell the best food offering high meat content, fresh fish, more vegetables and the list goes on. 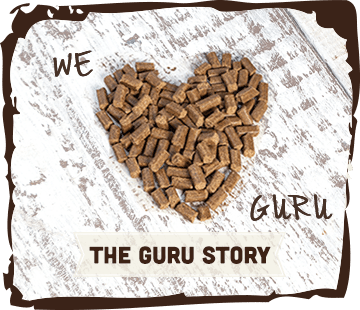 Although the choice of foods have become broader over the last few years, the one overwhelming factor is that most dried dog food (kibble) is manufactured using a process called extrusion. In the mid 1950’s a well-known pet food company adapted a cereal manufacturing process to make dry dog food. The process was so successful that by the mid 1960’s a lobbying group working for the American pet industry started a campaign to stop people feeding their dog anything but packaged dog food. Even now, over 50 years later, many pet owners have only ever fed their dog dry, extruded kibble. The quality of the ingredients may have changed for the better, but the cooking process is much the same. Extrusion works by pushing ingredients through a tube and cooking them at high temperatures and pressures. Once cooked, the food is then coated in fats and oils before being packaged. It’s a quick and inexpensive process, but many dog nutritionists believe that the high temperatures and pressure can cause the food to lose vital vitamins and proteins. In any case, check out ‘The Revolution’ page on our website and see how extruded kibble reacts in water! 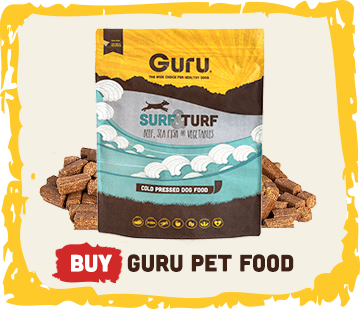 Here at Guru, we produce Cold Pressed food for your dog. Cold pressing is a method of producing complete dog food at very low temperatures. The ingredients are ground then gently mixed together. This carefully preserves the nutrients before they are Cold Pressed at a low temperature of 44 degrees for just a few seconds. This unique cooking method means that Guru retains much more of the ingredients’ nutrients. But don’t just take our word for it; check out the highly regarded review website ‘All about dog food’. It says “Cold-pressing is arguably the best way to prepare a dry pet food as it means the food isn’t exposed to the potentially damaging high temperatures normally associated with dry pet food production and should, therefore, leave the food with much more of its natural nutrients”. 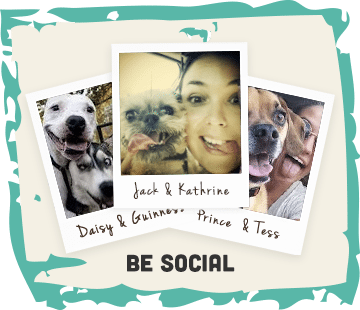 If you need further convincing, contact us for a free sample and let your best friend decide.